Achieving and maintaining strategic enrollment health requires the right enrollment leadership, team, strategies, and data. It takes a campus to recruit a student, and an effective mobilization of the campus to support that recruitment. 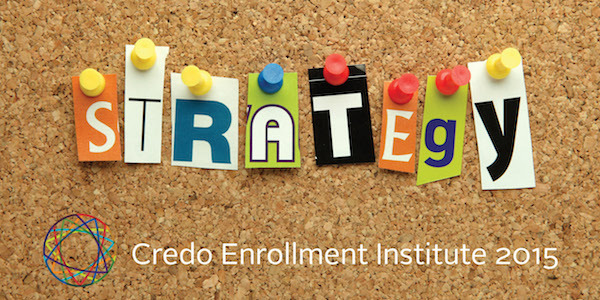 This year’s Credo Enrollment Institute will take a close look at the scope, key elements, and critical outcomes of a strategic enrollment plan, with ample opportunity for discussion, networking, and planning, so you can go back to campus with a clear understanding of how strategic enrollment planning can lead to strong enrollment health. Book your room at the O'Henry here or call 336-854-2000 and use code 10W8BG. 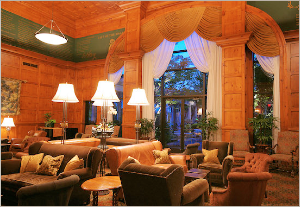 This locally owned boutique hotel features only the best in dining, events and accommodations. Luxuriously appointed throughout, the O'Henry hosts daily afternoon tea in its soaring Social Lobby, as well as cocktails and fine dining at the in-house Green Valley Grill. Other hotel amenities include a 24-hour fitness center, outdoor pool and complimentary transportation to and from the Piedmont Triad International Airport (GSO) in a London Taxi, or one of their other livery vehicles. The Shops at Friendly Center are conveniently located just across the street. For alternate accommodations, a conference rate is available at the nearby Hyatt - book a room here.